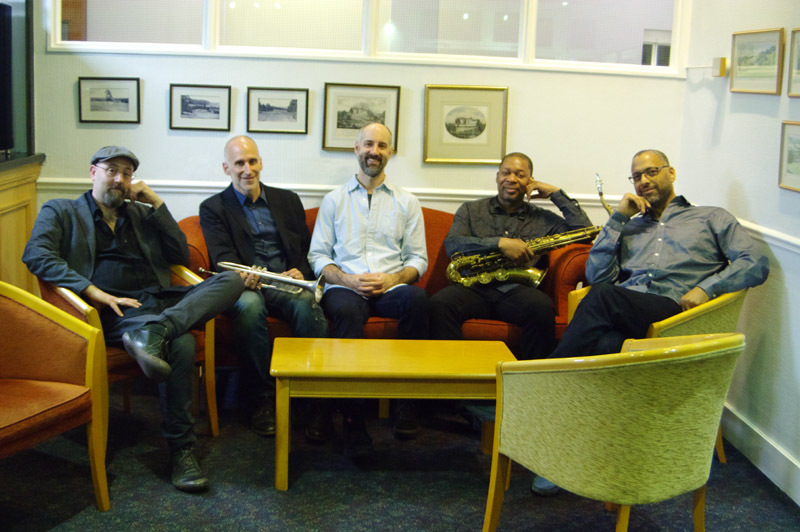 L-R: John Herbert, Ralph Alessi, Mark Ferber, Ravi Coltrane, Andy Milne. Watermill Jazz Club, Dorking, Surrey, UK. Tuesday 15th May 2018.